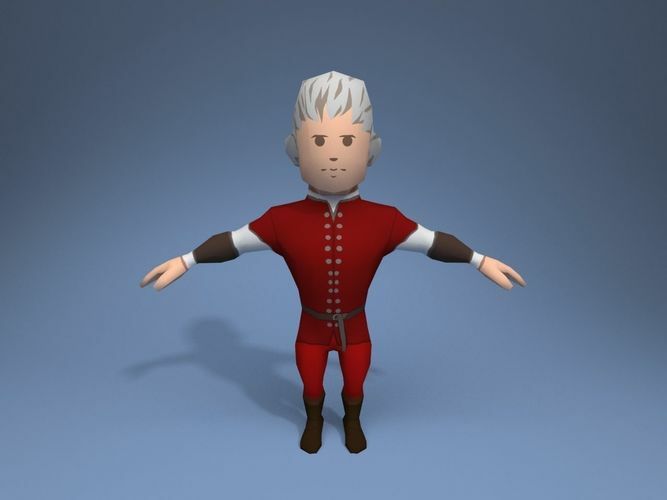 Nobleman 73 A rigged and skinned character model. Created in 3ds Max and game ready. The model is low-poly and ready for use in VR / AR and other real-time applications. The model is ready for animation or to be used in games and other projects. The model has been optimized, so it's good for mobile games, too. The character has a single texture and an easy-to-use custom rig. It's possible to simply apply Mixamo animations to this model. Take a look at the attached YouTube video to see a sample of Mixamo animations running on Unity. Note: Mixamo animations shown in video preview are not included in the scene.